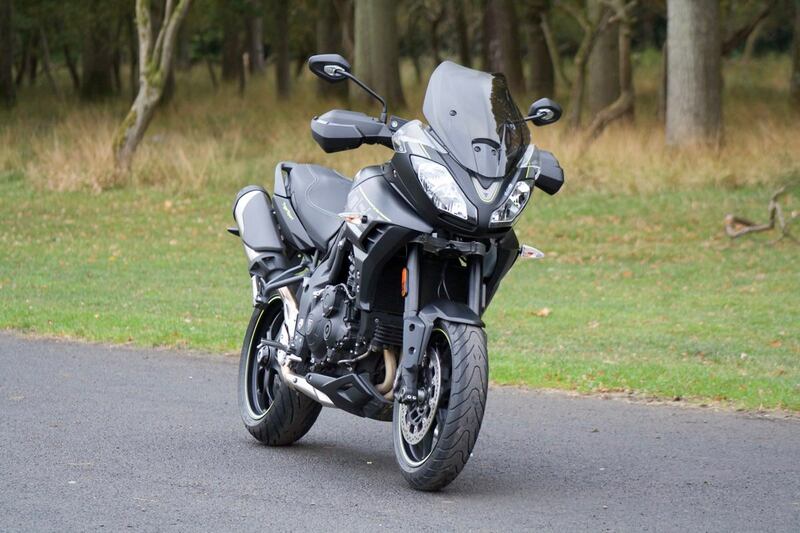 If you’re looking for a bike with a more upright riding position but want to keep things feeling sporty, then the Triumph Tiger Sport 1050 makes for an appealing mixture. 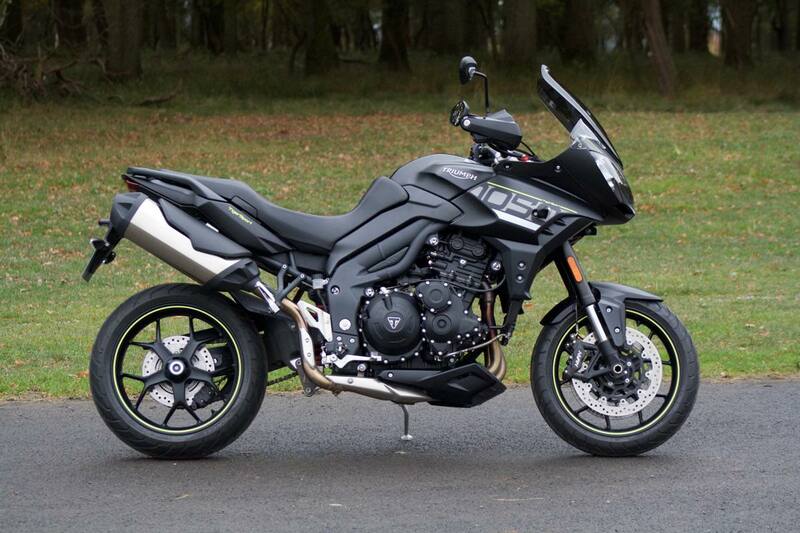 The Triumph Tiger Sport 1050 has been a familiar sight and has used the 1,050cc engine since 2007 but the latest model tested here has undergone numerous updates for 2017 beyond the matt black colour scheme. 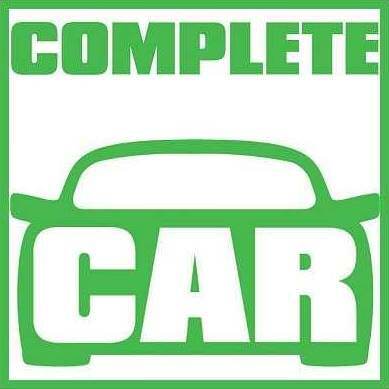 A total of 104 changes has been made to the engine to boost both fuel economy and power delivery. It sounds good too, with that distinctive triple engine note making all the right noises even with a stock exhaust. Triumph claims that the fuel economy is now 8 percent improved over the previous model. According to the onboard trip computer, we averaged 5.8 litres/100km though this could probably improve over longer distances. There is also a 20-litre fuel tank, so you shouldn’t find yourself having to stop too frequently over longer journeys. More importantly, the power delivery is buttery smooth right from the lower end of the rev range, and with Triumph’s new ride-by-wire throttle it feels responsive too. Even rolling on the power in fourth gear provides plenty of torque thanks to the 106Nm on tap to pull it out of corners. At motorway cruising speeds there is little by way of vibration from the engine. The screen provides sufficient protection from buffeting, too, but taller riders may want to invest in a slightly larger screen. 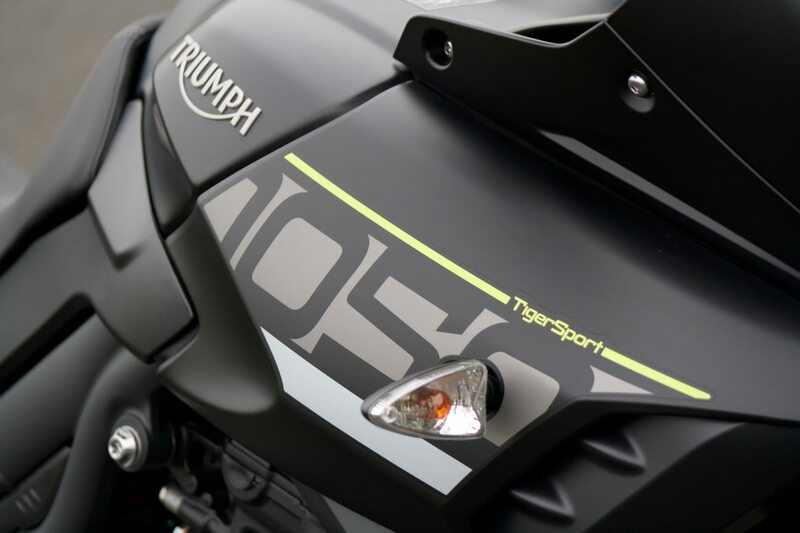 Other features such as standard-fit cruise control and switchable traction control add to the everyday practicalities of the Tiger Sport. There’s even a 12v power socket on the left side of the lower fuel tank while under the saddle is a USB port for additional device charging. Further aiding slow-speed riding in traffic is a new torque assist clutch lever. 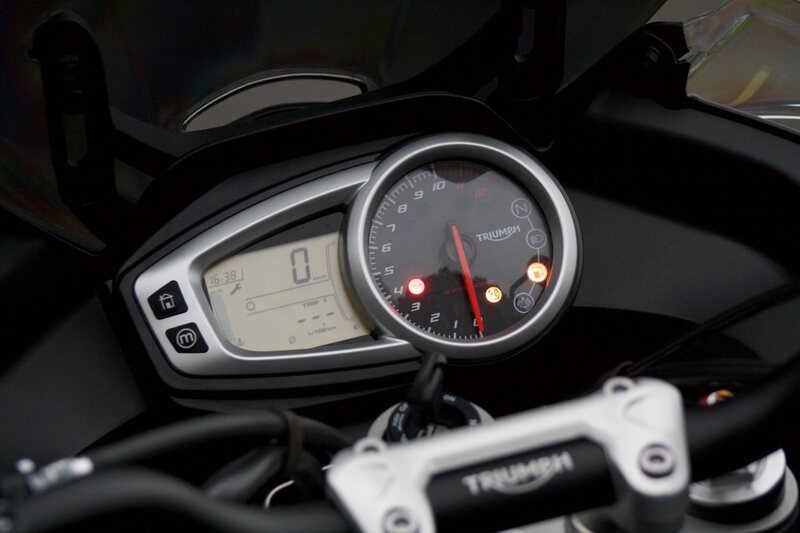 Triumph claims this is now 48 per cent lighter to use. There are three riding modes to choose from – Road, Rain and Sport, and each adjusts the power delivery accordingly. Accessing the different modes on the move can be a little annoying. You have to do this via a button on the instrument cluster, rather than on the handlebar. That instrument cluster also sits behind a new, manually adjustable screen with smaller aero deflectors on either side. The result is a mostly buffet-free ride at motorway speeds, adding to the Tiger Sport’s impression of serious mile-munching capabilities. One further boon to long-distance riders is the standard fitment of cruise control, making those motorway journeys less tiresome. It is in that kind of scenario that the Triumph shines. 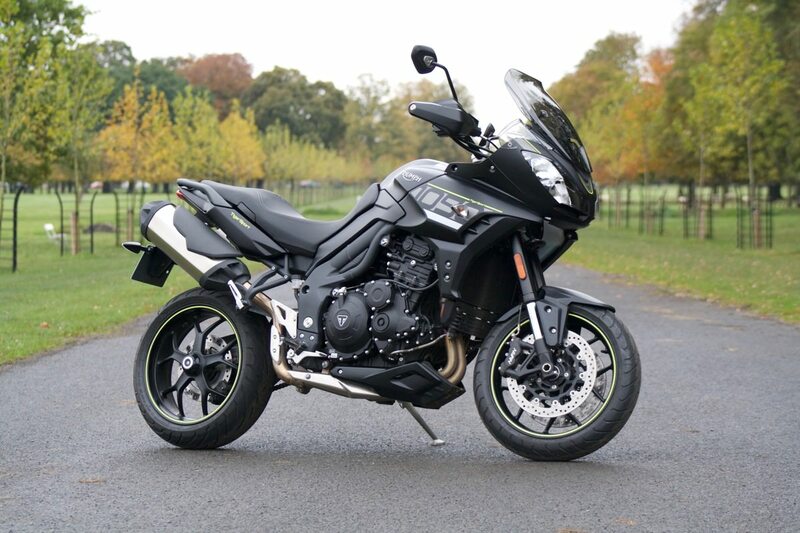 With 126hp it doesn’t have the outright power of some other in-line adventure tourers nor though it does provide a very comfortable riding position. The 830mm seat height will suit most riders while the 218kg dry weight leaves it manageable enough.